In multi-hop Wireless Sensor Networks (WSN), sensor nodes which cannot communicate directly with the Coordinator Node(CN) can communicate with CN thanks to the other joined sensor nodes. The multi-hop WSN structure is preferred for large-scale WSNs and that consist of multiple sensor and CN.As in the networks sensor node count increase, hop count increase as well. Because of this, end-to-end delay increases. Unless it is taken prevention, end-to-end delays reach a level that negatively effects on network performance in multi-hop WSN. In this study, for multi-hop WSNs, it is aimed to design a new a relay-priority mechanism which will reduce the end-to-end delay. This is a method that will reach the CN with a minimum hop count while joining the node. Thanks to the minimum hop, end-to-end delay is reduced. Performance analysis of this study was done in Riverbed (OPNET) Modeler simulation environment. Li, L. E., And Sinha, P., 2003. Throughput and energy efficiency in topology-controlled multi-hop wireless sensor networks. In Proceedings of the 2nd ACM international conference on Wireless sensor networks and applications (pp. 132-140). ACM. Murdiyat, P., Chung, K. S., And Chan, K. S., 2016. A multi-channel MAC for multi-hop wireless sensor networks minimizing hidden node collision. In Communications (APCC), 2016 22nd Asia-Pacific Conference on (pp. 535-540). IEEE. Murdiyat, P., Chung, K. S., And Chan, K. S., 2014. Predicting the network throughput of wide area WSN in rural areas. In Communications (APCC), 2014 Asia-Pacific Conference on (pp. 106-111). IEEE. Vergados, D. D., Vergados, D. J., Sgora, A., Vouyioukas, D., And Anagnostopoulos, I., 2007. Enhancing fairness in wireless multi-hop networks. 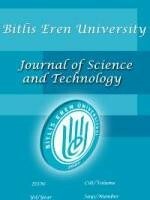 In Proceedings of the 3rd international conference on Mobile multimedia communications (p. 37). ICST (Institute for Computer Sciences, Social-Informatics and Telecommunications Engineering). Duan, C., Shi, F., Ding, X., Xiao, X., And Duan, P., 2011. A novel TDMA and multi-hop MAC protocol in cluster-based wireless sensor networks. In Industrial Electronics and Applications (ICIEA), 2011 6th IEEE Conference on (pp. 805-808). IEEE. Kiri, Y., Sugano, M., And Murata, M., 2006. Performance Evaluation of Intercluster Multi-hop Communication Large-Scale Sensor Networks. In Computer and Information Technology, 2006. CIT'06. The Sixth IEEE International Conference on (pp. 215-215). IEEE. Chughtai, O., Badruddin, N., And Awang, A., 2016. A novel congestion alleviation procedure in multi-hop wireless sensor networks. In Intelligent and Advanced Systems (ICIAS), 2016 6th International Conference on (pp. 1-6). IEEE. Nguyen, K., And Ji, Y., 2011. Achieving minimum latency in multi-hop mac protocol for wireless sensor networks. In Vehicular Technology Conference (VTC Spring), 2011 IEEE 73rd (pp. 1-5). IEEE. Zhao, J. J., And Sun, X., 2008. MAC protocol based on T-MAC multi-hop reservation for short-latency wireless sensor network. In Communication Technology, 2008. ICCT 2008. 11th IEEE International Conference on (pp. 114-117). IEEE. Nguyen, K., And Ji, Y., 2010. AM-MAC: an energy efficient, Adaptive Multi-hop MAC protocol for sensor networks. In Proceedings of the 6th International Wireless Communications and Mobile Computing Conference (pp. 432-436). ACM. Lee, J. W., And Cho, H. S., 2014. Cascading multi-hop reservation and transmission in underwater acoustic sensor networks. Sensors, 14(10), 18390-18409. Furuta, T., Sasaki, M., Ishizaki, F., Ukai, T., Miyazawa, H., And Koo, W., 2010. New formulation for scheduling problem in multi-hop wireless sensor networks. In Proceedings of the 6th International Wireless Communications and Mobile Computing Conference (pp. 73-78). ACM. Dou, F., And Peng, Z., 2015. On-demand Pipelined MAC for Multi-hop Underwater Wireless Sensor Networks. In Proceedings of the 10th International Conference on Underwater Networks & Systems (p. 26). ACM.